For Safe And Secure Space In Abundance, Use Our Superb Storage Service –It’s The Best In Town! Is there less and less space at your home or at your office at the moment? Are you sick and tired of being crammed in? If you would love a bit more space in your life, don’t hesitate at all to hire Removals Man and Van right away for first class storage. Our storage services are really excellent and professional and right up your street if you need more room at your home or at your office. Indeed, we are a long lasting removals and storage company with a very positive reputation. What we’re trying to say is that we offer the best service out there! What’s so great about us, as a company, is that we even allow our clients to view and inspect the storage unit of their choice before they hire us. This just gives clients a peace of mind before they have a done deal. You can have all the space you ever need if you hire us. It is really simple. Just call us right now on 020 8746 4401 and we promise you we will not let you down. We will answer all of your questions, if you have any of course, and even supply you with a free quote straight over the phone. You know it’s the right thing to do so get in contact with us now for the best storage service ever!!! 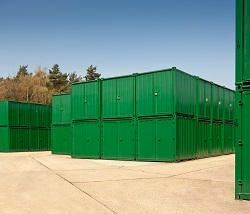 Our storage units, we assure you, are clean, secure, damp-free and well maintained. They are checked on a regular basis to ensure there are no problems at all. We are a very flexible company too. So if you need storage, no matter what time or for how long, we are sure we can fulfill your every need. Our storage warehouse is well insulated and perfectly secure, thanks to our top of the range security system. Therefore, there is no need for you to feel the worry of leaving your belongings in the hands of people you don’t know. We can promise you that your belongings will be so safe and secure in our care. We will check on your things constantly and make sure they are all fine. You see, we care about your belongings and we would like to make sure they return to you in fine condition. Our team of workers will keep a close eye on your belongings as well, to check that they are doing fine. Although, we are confident that your goods will be perfectly fine. Call us now for more details on 020 8746 4401. Need more room? Removals Man and Van offers a wide range of storage facilities to cater for your needs. 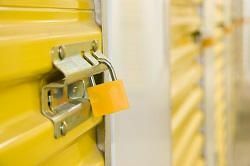 If you need storage or self storage, let us help you. We are a well established removals company and we really do, honestly, offer the best self storage services around! You are guaranteed to be pleased with our storage services – they are the best around. They are safe, secure, and they will definitely return to you in working order. They won’t be damaged in any way or stolen. We always ensure your belongings are kept safe the entire period of time they are with us. It really does mean a lot to us to make sure your things are kept safe. Whether you need a storage facility for one day, one month, or one year...we can definitely be there to help you! You don’t have to keep putting up with having no room at all in your home or office. We’re only a phone call away if you need us so call now on 020 8746 4401.